Today was a learning day for Mami. A few months ago, I was introduced to essential oils, fell in love, and now can not stop using them. I started slowly, one oil at a time. Then I ventured out to new oils and more use for them. Now I use them for my entire family. Yesterday, I started made those 'fizzling toilet bombs' that needed to dry overnight. I followed this recipe, well almost. I only used about 20 drops total, so about seven each of purification, lavender, and lemon. 90 drops is way too much. They turned out great and I used one already. It made for a nice fizzling party in the toilet. Today, I went to a Make and Take party to make more fun things, like sunscreen, bug spray, and lip balm. I can not wait to use all these wonderful things. Mostly, I am excited about the bug spray and the anti itch spray. Those have been on my wish list for a while. I am using Young Living Oils because I believe in their products and in their natural purity. We diffuse them, we use them topically, and I use them internally. What I love best is that our entire family uses them, yes, kids and hubby, too. When the kids have a tummy ache, they ask for peppermint. When they get a bloody knee, they ask for lavender. And at night, they all get their nightly rub-on of their specific 'sleeping potion'. It's awesome and we love this. We had a day filled with lots of activities: doctor appointments, PE class, Karate, and shopping. But after dinner, we just all spend some much needed quality time together. The Hubby is a huge boxing fan, so last Christmas (2013), the kids got boxing gloves and training punch gloves (or whatever they are called!). They love to pull those out and 'train' with their Daddy. Well, at least the oldest and the youngest. My princess is not much into boxing. Homeschooling is a life style - we are not trying to create school at home. So days like today are a bit crazy. but then again, they teach the children that life can be chaotic and we need to know how to deal with it. We always make sure that after a hectic day like today, we spend some family quality time together in the evening. I am so blessed with my family. Tonight, it was Derby Time. We are attending a club where the kids learn bible verses in order to earn rewards and awards. It is hard work all school year long. So once a year, this club puts up a derby race for the kids just to have some fun. It takes some time to build these cars, paint them, decorate them, and then weigh them in. This was our third year and the kids had a blast. All three kids built their own car and ran it in different categories. And for the first time, we had a winner tonight. My Munchkin won second place in speed! Yeah. She was already so excited about racing her car, but when she won a trophy, she was ecstatic. Now she lays crashed in her bed - too much victory for one day. I am sure some of you have heard about the movie Fro*zen that all the kids are obsessed with!? So are my kids! Yep. Last year, for her birthday, my Peanut just wanted one of those dolls. She never asks for things, so we bought her both. These days, they are going everywhere with her, from room to room, for breakfast, lunch, and dinner, to bed, and yes, to school. Peanut brought them along today, sat them on her desk, and declared that they needed to learn how to read and count. In Math, as seen above, she taught them addition, and in Spelling, Peanut told them how to spell. When Peanut was done with her 'stuff', she became the teacher for them, and went through all the subjects all over again. It was a cold day here and we had nowhere to go, so we stayed in our PJs most of the day, and did school in the living room by the fire place. Daddy stayed home from work as well. It was a nice family day with lots of school - we like to take advantage of being home-bound for a day to get as much 'done' as possible, so we can have easier days when we are more busy. Munchkin is getting better at staying busy, too. She loves to color and is getting pretty good at it. And I am hoping that whatever she hears us talk about will sink in a little, so when it is her time to go through the material, she might remember. She also likes to do puzzles, play with Math counters, do those threading animals, or play with shapes. I keep those in the school room, so she usually only plays them during 'school time'. It makes it special and she is looking forward to it, keeping her occupied while I am doing one-on-one time with one of the older kids. It was raining all day, as a matter of fact, the rain and wind are still going strong outside. What better way could we spend this day playing board games. Now we do play quite a bit, but I am always trying to squeeze in a little education. Lol. The kids are playing "Ticket to Ride: Nordic Countries". I have gotten this game many years ago and taught Coqui to play over the past few months. Today, Peanut wanted to join in. The game takes place in the Nordic countries of Denmark, Finland, Norway, and Sweden. So we are learning Geography. Pronouncing the names can be a bit challenging, even for me. The players are to travel by train from city to city, taking a journey mostly over the countryside, but also through tunnels and with boats. They are doing so by collecting colorful wagons that add up to a train which is placed on the board and gains points. Once you complete an entire trip, you gain some more points. It is a fun and easy game. The kids hear the foreign names over and over and learn where they are located on the map. Now it says that the game is targeted to ages 10-14, but really my five year old understood the purpose of the game and could follow along. It can take up to an hour though. So afterwards, we did some dancing to get the wiggles out. As homeschoolers, we don't stop by teaching academics, we also teach life skills. Today, after spending some family quality at home, we went out to eat for dinner. We all love this Asian restaurant where they cook the food in front of you. Munchkin usually eats of mine or Daddy's plate, with her own fork. But today she insisted to try the chopsticks. Well, as you can see, without any practice whatsoever, she managed to eat her shrimp and corn. Only about three pieces fell on the floor, and only because she had to try feeding her siblings this way. What a goofy girl. And oh so talented. This is one of those million reasons why we love to homeschool. Every Friday, we can join a few friends and go on a field trip. I feel like this year has been the year with the most exciting trips. Today, we got to go behind the scenes of a police station. The officer leading our tour was just awesome with the kids. He talked at their level, involved them into the conversation, and let them try out a few cool things. The picture above shows them all doing push-ups in the exercise room. They also did sit-ups and got to punch the bag. We saw the juvenile jail, all kinds of different police cars, the emergency center, and the 911 calling center. The kids got a badge and a Frisbee to take home. The officer did a great job in portraying the image of the police as your friends and helper. We left with a feeling of having learned quite a bit about police work and the good work they do in our community. For years, I have refused to teach my kids German. *gasp* I know. To me, it was always more important that they learn to speak proper English and learn how to behave. I had read articles where it was explained that multilingual children had a disadvantage in lower vocabulary than kids who only speak on language. It made sense to me and so I decided that one language was more than enough. Now the time has come to learn a second language. We have tried Spanish before and it did not work well. Now we are trying German. I bought this book that seemed simple enough for Coqui to do on his own for the writing part. 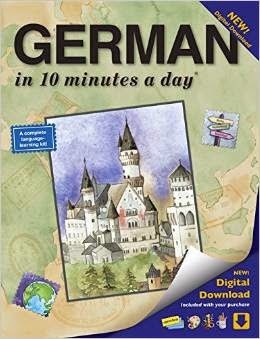 It is called German in ten minutes a day. Coqui was a bit reluctant when I told him we were learning this, but now he likes it enough for the words to stick. Some days, we literally put the timer on for ten minutes and we will stop when it goes off. You say that ten minutes is not enough? It is! Now I see that he actually retains more words in ten minutes only because he doesn't feel overwhelmed being bombarded with a bunch of words. Ten minutes IS enough to learn the days of the week. He writes them, makes some sentences, and sometimes we try to find a song for the material. 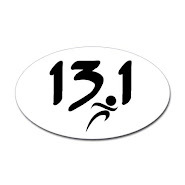 Today we started to work on the twelve months of the year. We repeated them over and over, copied all of them, but only got to make four sentences with them. Then I went on youtube to try to find a song and I was very successful. The kids have been singing it all day. The parts where they don't really know what is being sung, they just hum it. Here is a link to the video: Rolf Zuckowkis - Die Jahresuhr. We actually know this artist from a Christmas CD my aunt bought me a few years ago. The songs are very catchy and that is what we are going for here. In the picture above you can see them dancing and singing. Learning can be so much fun. And this way, even the girls can hear and learn. .... or in my case, homeschooling has taught me to be flexible. I used to be very organized, but then we started this amazing adventure and we had three kids, and my organization went out the window. So I never used a schedule before, we kind of always followed our books from beginning to end. At least for the main subjects like Math, Reading, or Grammar. Then we added the fun things whenever there was a good day to do so, like the baby taking a long nap or us staying home most of the day and having more free time than on park days, or field trip days. We just flowed with the flow.... lol. This year, I kind of felt that we needed more structure. Two kids in school with one preschooler running around, I needed to know what was done and what was missing. So I looked online, found a few free printable pages and printed away. I started filling them out and found it very tedious. But I determined not to spend money on a planner. Until a friend mentioned this great app. First I thought, I don't need another app. After all, we get bombarded with those 'need-to-have' apps, right? Well, something convinced me to have a look..... and that look turned into a purchase..... and that turned into a lifesaver. The app is called Homeschool Helper. It is fantastic. I am in love with this app and how it has helped us to stay on top of what needs to be done. And if we fail one day, it is easy to 'bump' the lesson to the next day. I keep a record of all the grades, of the attendance, of the field trips, and of so much more. You can back this up, too, so you can print it later for reference. It is awesome. Here a picture of Coqui's calendar for the month. Red means the day is not done, green means all the work scheduled for that day is done and school is over. The red car stands for field trips. The kids use this every single day. It teaches them independence. They are in charge of the order in which they want to accomplish their learning. I am here to guide them.. This worked even better when I went on vacation and Grandma watched the kids for a week. The lessons were already in the app, I just added some important to-do things, and they were able to finish all their work with Grandma just delegating them. Those five bucks were very well invested. Tuesdays is one of our History days. Coqui LOVES history - but I think I mentioned this already. We are still using the first volume of The Story of the World. It's been two years ..... and honestly, we had been slacking a little bit last year. 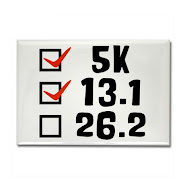 This year, I am determined to finish the book. We start the lesson by ME reading the story of the chapter that we are starting. Coqui gets a coloring page while I am reading. Then we do the map work, so you kind of have a geography lesson included every time. Next, he has to retell the story in his own words and answer questions. And then we do whatever we want to. Sometimes it's a craft, or other times we work on our lapbook. On the second day of the week, we review what we learned the first day, do some more hands-on activities, and take our test. Now I am not putting too much power into that test, but it is a great way to see what stuck and what we should repeat before moving onto the next chapter. Today, Coqui could not get enough and I caught him reading some more chapters on his own. I love when this happens. He loves history, so we read three different stories about Ancient Rome; all really exciting as they were about gladiators, Roman soldiers, wars, and such. Super interesting. 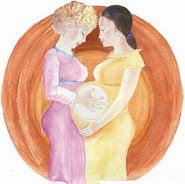 We love our curriculum: Story of the world (read my post how history comes alive in our house). So there are coloring pages, map work, and crafts, maybe some additional reading, and almost always a lapbook that I add. 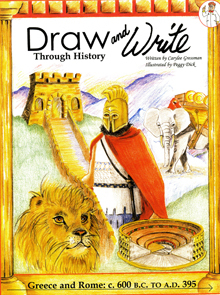 Recently, I found this book: Draw and Write through history book 2. We totally love these books, even better than the Write, Draw, Now series, which is all about drawing animals and learning about their different habit. They are not bad books, but my history lover prefers these history books. 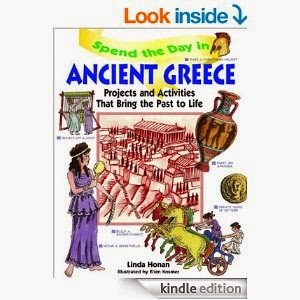 We have used it for our Greek lessons as well - you can see it here. If you want to try a free lesson, you can find it under their link: Free lesson, or just click here. Not every child reacts well to this kind of instructions, but my want-to-be-perfect child finds it a lot easier to copy a "perfect" picture than trying to imagine his own. It works for him and builds up his confidence, and my prayer is that one day he will step away and start drawing his own imaginations. Not every day is pretty, just like in every other family, too. Peanut had a very hard time remembering who the parent is and who the child. She always keeps me on my toes for sure and most days, we keep things in a balance. But today, she just kept pushing the boundaries. So the principal of our school came up with a 'correcting of her bad attitude' assignment. She had to write: "I will listen and obey." Now to me, this is also great exercise for penmanship. She could see that some lines had the same length and other lines were either extremely short or very long. Learning how to space letters is not easy. So we turned the correcting into a learning moment. And she did change her attitude. Today was a special day and we celebrated accordingly with lots of family quality time and ice cream. The ice cream place was packed - I guess everyone had the same idea. It was beautiful to sit outside, so the kids could run off their sugar rush afterwards. Perfect. Munchkin looks a little mad in this picture because she was the first one done with her 'only' one scoop and she was not happy. Afterwards, we went to a book store and the kids could choose a book to bring home. I love reading and I think one can never have too many books in the house. We even met some homeschooling friends there - they had the same idea. No cards, no fancy dinner, just simply family time spent well together. I hope everyone else had such a great Valentine's Day just as we did. Many years ago, this handsome man received a gift card for his second birthday. At the time, I think, I didn't even know what Chuck E Cheese was, so I put the card at a safe place. Yes, I did forget about it for a little while. Recently, I went through all our cards and found it again. And today was the day that we got to use it. We had our annual Valentine's Party at this lovely loud place. Our homeschool group does it every year. The kids get to make and decorate their boxes and write out cards for all their friends, old and new. This year, I am happy to report that I did not write a single card, both big kids did all the work themselves. Coqui was so excited about this field trip today. He played as long as I let him. Now his sisters do not enjoy the experience as much, but the little one discovered a few things that she did like to do and then she did them over and over. We might have another fan on our hands. Munchkin is getting so much better at entertaining herself when the two big kids do their school work. She has always loved those wooden shapes, but I had not yet introduced her to the pictures that come with the shapes. Today was the day that I needed something new for her, so I pulled them out, put them in front of her, and left it at that. Next time I turned around, she was completing the picture, without any instructions or anything. Yeah, sorry, I am sure you can tell that I am extremely proud of her. She is just so smart. and we loved reading it. The kids begged me to make them each a chiton, so we went to a local craft store to buy some fabric. Back home, we measured some, I sewed some, and we tried on again and again until they like the results. Peanut is wearing the girl version of a simple chiton. Coqui wanted to add an himation to his boy version of the chiton. For the last three months, I am installing good habits in the kids with a chore chart that I made. I feel I do not really need to share ours as they are so many free ones out on the net, and every family's chart is personal and looks different. Nonetheless, I want my kids to make their beds in the morning, to start helping around the house, too, but I also want them to learn to take care of themselves, which means taking a bath, brushing their teeth, and combing/brushing their hair. Latter is quite an endeavor with my Peanut. Her hair is wavy and gets tangled very easily. So we've been working on her learning to brush it thoroughly and all around her head, not just on one side - lol. Usually, she gets it done in a minute and I have to send her back to do a better job. But today, she came down with well brushed hair and an accessory. She was very proud of herself, too. She is and will always be my fashion girly. I am so thankful to God that He gave me the desire to homeschool. And even if it is not easy every day, I enjoy what I do and I wouldn't change it for anything in this world. As we are studying Ancient Greece, I came across this awesome build-it-yourself game. It is called Digging Up Greece. The download was free. I printed it all out, we started cutting, and gluing, and more cutting, until we could finally start playing. Even Peanut chimed in. The questions are multi-level, so mine were the hardest, Coqui had the middle, and Peanut got the easiest ones. She even won the whole game. We had a ton of fun on a quiet Sunday afternoon. I was trying to figure out how to execute a 365 days shooting about homeschooling when we do not do school, technically, every day. But then again, we try to live the motto, that we DO learn something every day. Here is Munchkin with her sister's Esther crown. Peanut had studied Queen Esther in her history lesson, and this crown was part of her craft. Sister sat right next to her and 'snatched' the crown away as it was completed. Whatever she heard and will retain in her little brain is awesome. Our field trip today brought us to a local beverage making company. Our kids were split into two groups, preschoolers and those that are older. The big kids toured the museum first, while the little ones hung out with the moms. After about an hour, they got to go to the lab and make their own beverage including a presentation and a slogan. I think they all had a blast working in teams, tasting and creating. Coqui came back so happy. The little ones got to see the museum while the big kids were in the lab. The tour was pretty interesting, especially seeing how things were done like a hundred or fifty years ago, compared to today's technology and how fast the production times have become. Very neat field trip. This is a picture of our local PE class. It was beautiful, so they went outside with the kids to play Flag Football. We all know that COqui would love that, but even my girl did love it. Now this is awesome. A class only for homeschoolers run by former homeschoolers. The games change every week. They build muscles but also good sportsmanship. They teach to play in teams, to help each other, and support the weak. I really love bringing my kids there. So I came up with a plan to get me on this site a little more often. One point on my Lifelist is to plan and execute a 365-day photo shoot. Until now, I never knew what to photograph to keep it interesting enough for me to shoot and for you to look at. But now I found it: I will take a picture of our homeschooling life for the next 365 days. Now I know, some of you are absolutely not interested in following us on this journey, and that's okay. But for those of you that do, welcome and I am glad that you are here. I will try to keep it engaging and entertaining. A warning before we start: these photographs will most likely be snapshots, I am not trying to win a spot in the next exhibition at the Met. Here is a picture that just says it all about homeschooling for me: the youngest with the oldest, learning together. Even though the baby doesn't understand much yet, she is still getting some info, and, what is more important, she is getting the bond with her big brother. As we are continuously studying Ancient History, we included some Geography as well. And which continent is perfect when you just studied Ancient Egypt, Joseph, and Moses: Africa. The kids had so much fun making this, they didn't realize that they were learning and applying what they had learned previously. I think it came out really good. I found the recipe for the salt dough online. They are many out there, but we used this one - their Africa map looked intriguing enough for us. Before we could start, we needed to find a map big enough for our outline, I printed it on four pages from this website. Then we needed a physical map of Africa, which I printed from this page. We cut out the big map, taped it together, and then traced the outline onto the pizza box. We tried to be as accurate as possible. Coqui really doesn't like to get his hands dirty! He is still smiling here, but soon he had enough and Peanut and I finished mixing it all together. The next part was so cool: to see Africa take shape in front of us. Honestly, they did all this by themselves, they just needed some help with the rivers. When the map was done and some dough leftover, they wanted to add some African 'things', so they sculpted a pyramid, a snake, and a volcano. The map needed to dry for at least a day, but we had to wait for two days to get back and paint it. The weather was nice, so we headed outside for this. We really enjoyed this and can't wait to make another salt dough map of a different continent.